Don’t let your low MCAT score or GPA get the best of you. 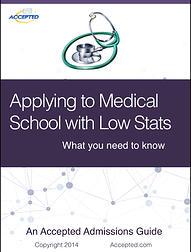 Learn how to get accepted to medical school, despite less-than-perfect stats! 6 routes to getting into medical school with a low GPA. 6 tips for improving your MCAT score. When you should and when you should not retake the MCAT.